Andreas Weiss is the Vice President of Platform Solutions at GBM, responsible for the company’s Hardware Business Unit and leading GBM’s system solutions for Private and Hybrid Cloud. He is also in charge of IT optimization, consolidation and virtualization for our clients. Andreas brings more than 26 years of IT industry knowledge from across over 50 countries. Prior to joining GBM, Andreas worked with IBM in a variety of roles, spanning sales, marketing and brand management. 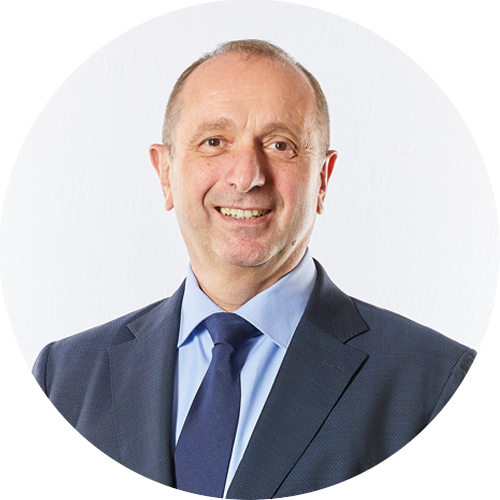 During his time at IBM, he managed and excelled the Storage Business Unit for the company in Central Europe and the Middle East with sustainable growth. Andreas holds a Master of Arts degree in Economics from San Francisco State University and a Diplom Kaufmann (MBA) degree from University of Tuebingen in Germany. Cherif Morcos is the Vice President of Software Solutions at Gulf Business Machines (GBM). 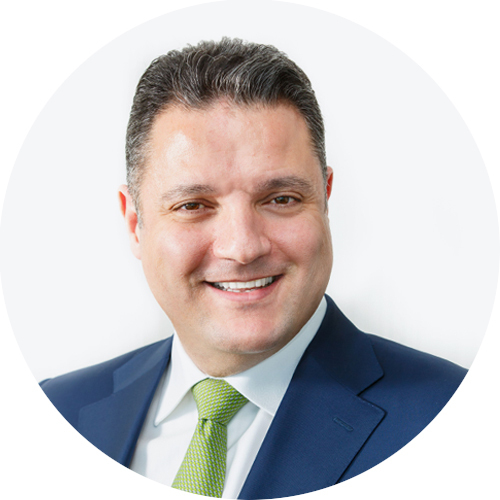 In his current role, he provides the leadership and direction for the ongoing transformation of GBM as the leading provider of digital business solutions in the GCC. He is also responsible for GBM’s comprehensive portfolio of digital solutions, such as cognitive analytics, IoT, customer experience, and digital automation, to support customers on their digital agenda. 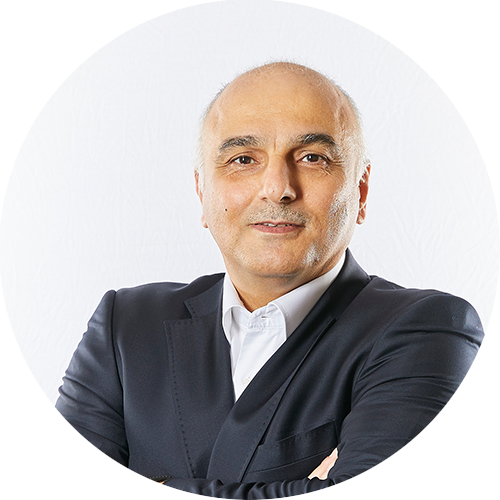 Cherif brings over 20 years of software and solutions experience working with customers in different industries across MEA, Europe, and North America. 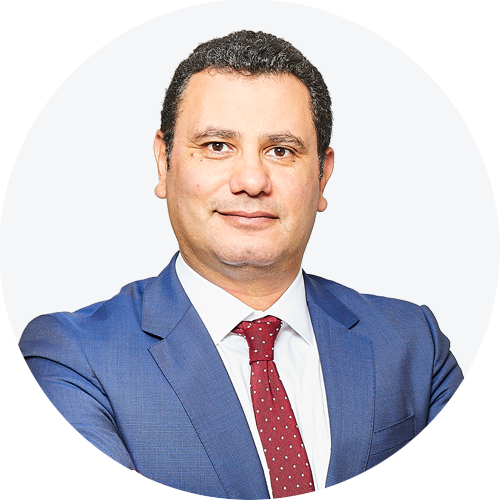 Prior to joining GBM, Cherif was the General Manager for SAP in Egypt. He has also held several executive roles within IBM across the Middle East and at a global level. Cherif holds a B.Sc in Electronics and Computer Science from the Higher Technological Institute in Egypt. He also holds a Management Diploma in Business Administration and Management from Henley Business School in London, United Kingdom. Hani Nofal is the Vice President of Intelligent Network Solutions (INS), Security and Mobility at GBM, responsible for leading the INS organization across the Gulf and Pakistan with responsibilities focusing on customer satisfaction, profitable growth and building a strong solutions and services portfolio. In his role, Hani is in charge of the development of strategies for maintaining and growing relationships with partnerships and alliances. Additionally, Hani leads the GBM Cyber Security Practice across the organization. Prior to joining GBM, Hani was Cisco’s Senior Regional Manager. During his tenure at Cisco, Nofal supported the company’s rapid growth and expansion in the UAE and Gulf, and was responsible for several strategic successes in the region, achieving significant agreements and milestones. With more than 18 years of industry and management experience in the region, Hani held several roles in global organizations including Digital Equipment Corporation, Compaq and 3Com. Hani has also received several industry recognition awards and has wealth of market, business and leadership experience. John R. Porter is the Vice President of Services at Gulf Business Machines (GBM). He is responsible for building the managed services division for GBM in the Middle East and reinventing the professional services portfolio around hybrid cloud. 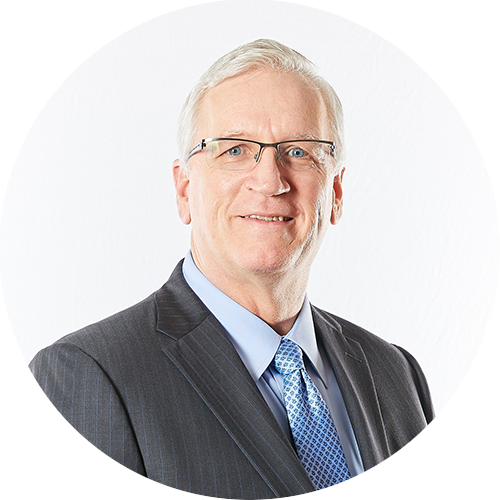 John brings over 33 years of experience to the position, having occupied a number of roles within the IT industry throughout the last decades. Prior to joining GBM, John was Vice President of Global Technology Services for IBM South Africa, where he oversaw IBM’s Infrastructure Services and Technology Support Services businesses. In this role, his focus was working with clients on key initiatives such as cloud, systems, resiliency, networking, and multi-vendor services. Prior to IBM South Africa, John held several positions in IBM, spanning 33 years, leading businesses in hardware, software, and services worldwide with profit and loss responsibility. Throughout his career, John has been a guest lecturer at several higher education institutions, industry forums, and conferences. He has served as an adjunct professor at Drury University in Springfield, Missouri, where he taught International Business and Leadership. John is a graduate of Evangel University with a Bachelor of Science in Communications and a minor in Computer Science. He received his MBA from Washington University in St. Louis, Missouri and is currently a doctoral student at Johns Hopkins University in Baltimore, Maryland. Shawki Hussain is the Vice President of HR. Joining the company in the year of its founding, 1990, Shawki is responsible for all HR activities across the entire organization including hiring, employee relations, compensation and benefits, as well as training and development programmes for employees at all levels. Shawki has successfully led the people agenda of GBM from its infancy in 1990 to date and been a driving force in ensuring GBM is an employer of choice. He has also been fundamental in the growth and direction of GBM and was one of the founding executives when he joined the company from his previous position at IBM that he had held since 1985. 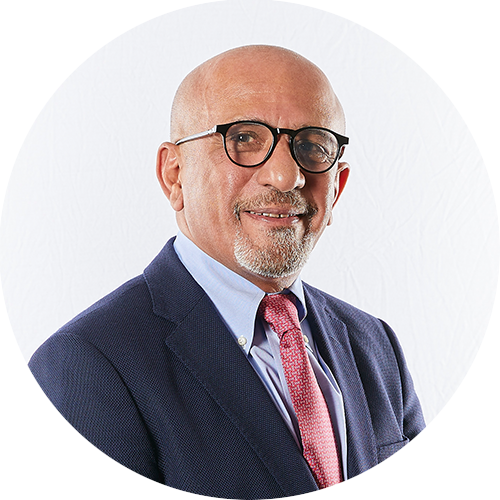 Shawki holds a degree in Business Administration from Leeds University in the UK and has attended numerous executive and leadership courses. Abdulla Ishaq is the General Manager for GBM Bahrain, the Bahrain-based division of Gulf Business Machines (GBM), and is responsible for the growth of the business in the Bahraini market. Ishaq has overseen GBM Bahrain’s evolution into a world-class IT consultancy business that also offers the widest range of cutting-edge technology and networking solutions, design, integration planning, as well as capacity planning for future growth. His leadership has given GBM Bahrain the platform to retain long-term, high-profile customers in Bahrain’s public and private sector, as well as verticals such as banking, telecommunications, manufacturing, oil and gas and SMEs. Abdulla joined GBM Bahrain at its inception in 1990. Since then he has held a number of positions in the company before taking the helm as Country General Manager  for Bahrain. Ashok Bhola is the General Manager of GBM Dubai and Northern Emirates. 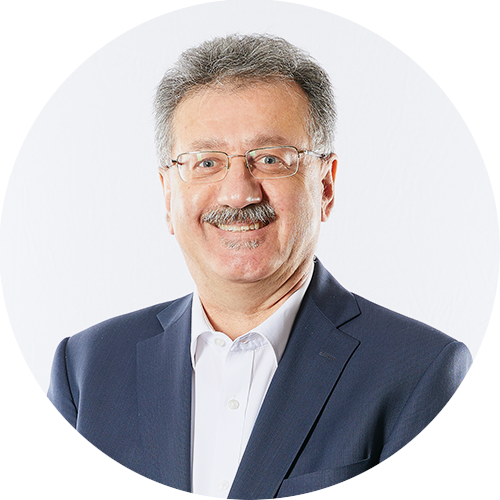 With 35-years of experience in the IT industry, Ashok has a deep understanding of GBM and the Middle Eastern Marketplace. He is responsible for the development of the Dubai and Northern Emirates business which under his leadership has seen phenomenal growth over the years. As a founding executive of GBM, Ashok’s visionary thinking and problem solving abilities combined with his passion for business and hands on approach has had a deep impact on the growth and development of GBM regionally. 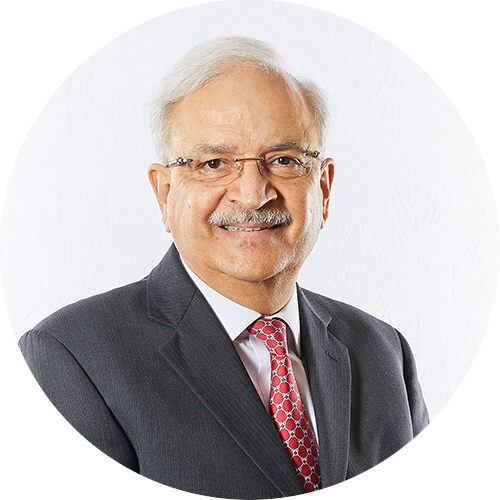 Ashok is a graduate of the University of Delhi and has extensive training over 35 years in Consulting, Sales, Technical and Business Management courses from IBM, London Business School and IMD Switzerland. Eddy Abboud is the general manager of GBM Oman, the Oman-based division of Gulf Business Machines (GBM). In his role, Eddy will be responsible for spearheading GBM Oman’s efforts in support of the Sultanate’s Digital Oman Strategy. He will also oversee client relationships in the Sultanate, supporting public and private sector organizations as they embark on their digital transformation journeys. An industry veteran, Eddy’s successful career spans over two decades and several Middle Eastern countries. Having worked with GBM for over 10 years, Eddy began his career in the GBM Dubai office as a Project Manager. His most recent role was based out of the GBM Abu Dhabi office, where he was the Director of Corporate Transformation and Shared Services, a role that saw him manage operations and finance for the branch. Prior to joining GBM, Eddy held multiple technical and managerial roles in the telecom industry, where he managed Services for internet service providers, telecom operations in various countries, and several projects for Saudi Telecom Company (STC). Eddy holds a bachelor’s and master’s degree from the American University of Culture & Education in Beirut, Lebanon. He also holds an Executive Education diploma in Leadership from Harvard Business School. As the General Manager for GBM Abu Dhabi and Yemen, Miguel Khouri has a track record for strengthening and enriching relationships with a wide-range of customers and industries. With over two decades in IT Consultancy, Business Management, and Business Development across the GCC, Khouri’s leadership has consistently delivered business growth for GBM Abu Dhabi. His guidance in value-added IT and business solutions provides tangible results for a host of public and private clients in the government, banking and finance, telecommunications, oil and gas, education and retail sectors. As General Manager, Khouri has nurtured GBM Abu Dhabi local expertise and in-depth knowledge of the market, and has helped to develop a collaborative network of offices across the region that enables clients to benefit from best-in-class IT consultancy. Prior to joining GBM Abu Dhabi as General Manager in 2011, Khouri was the Director of GBM’s Intelligent Networking Solutions (INS) for the entire region. Earlier to that, Khouri worked for 8 years with Saudi Business Machines. Miguel holds a Bachelor degree from University of Balamand in Lebanon, where he majored in Computer Engineering. Saqib brings over 23 years of regional IT experience to his CGM role, starting his career in 1993 with IBM in Pakistan. He has worked for GBM in Pakistan and Bahrain,and recently at GBM Head Office in Dubai where he was developing new business across assigned territories. Saqib holds a Post Graduate Diploma in Business Administration from IBA, University of Karachi and Bachelors degree in Computer Science from FAST ICS, University of Karachi. 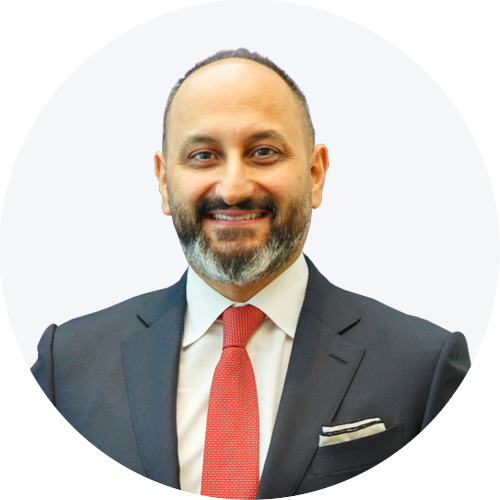 Wassim Seliman is the General Manager of GBM Kuwait, a role he has assumed since 2018. Wassim is responsible for maintaining GBM Kuwait’s customer relationships, the growth of the local business as well as the skills development of GBM employees in Kuwait. 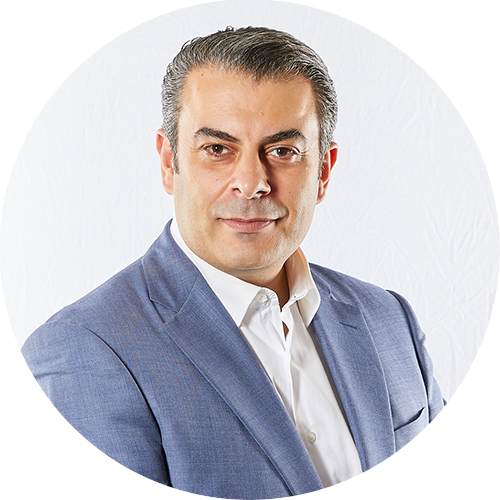 Wassim has 28 years’ worth of industry experience and first joined GBM Kuwait in 2003 as an Account Manager. Since then, he has held a number of positions in GBM including Government Market Director. Wassim graduated with a Bachelor of Science in electronic and communication engineering supported by a London Business School degree in Planning and Strategy. He is also a Baltimore-certified Security PKI Engineer, and has received an ITIL Basic Foundation Certification. 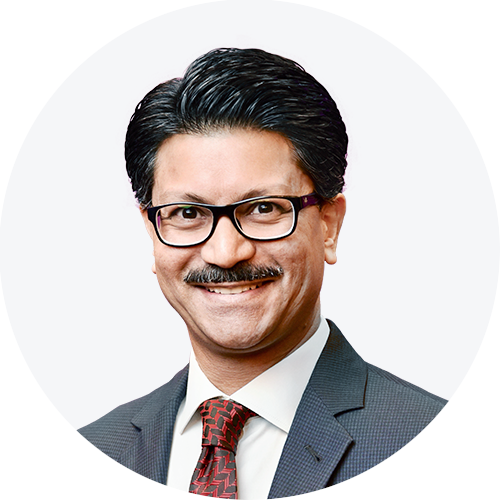 Haneef Akhtar serves as a trusted advisor for GBM CEO & Board, he previously held the position of Chief Financial Officer for GBM. During his 27 years in the company, he has worked in Kuwait, Bahrain and now Dubai holding different leadership positions. 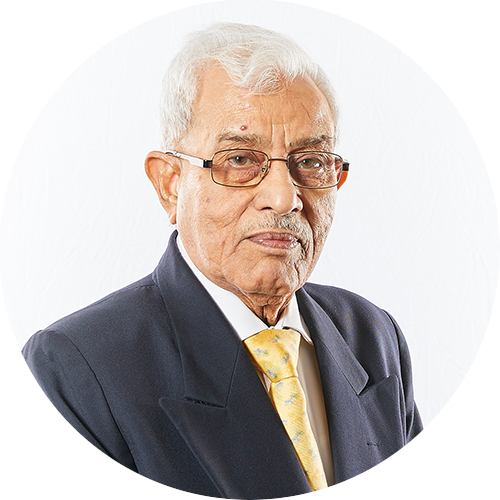 Haneef joined IBM India in 1965. Served on assignments in IBM Saudi Arabia. He also worked on assignment in Paris for IBM Middle East & Africa as Financial Operations Manager for Africa. He was involved in the formation of GBM in 1990 as Finance Manager in GBM. Haneef holds a MBA degree from Delhi University. Our team has expertise across the full range of digital solutions. 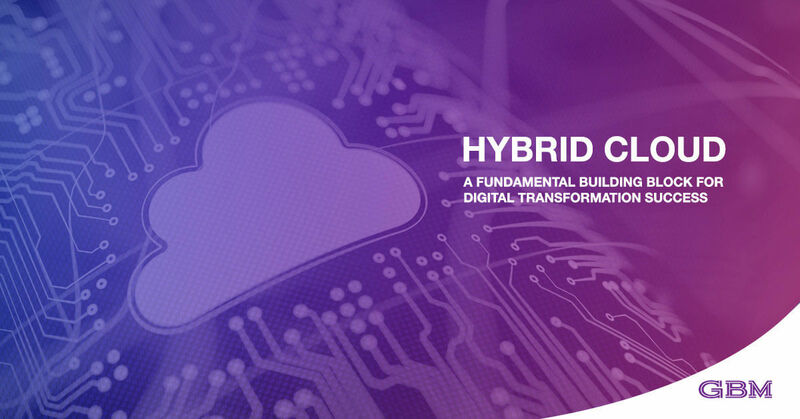 We are here to help you progress on your journey towards digital transformation.